One of the first things we learn as we grow up is the importance of independence. We like to have the ability to take care of ourselves without depending on others. There are many senior citizens who are still able to be at home and care for themselves. If their health declines, there are other options. You may be in a position right now where you're asking yourself: how can I find assisted living near me? Seniors who have few needs for assistance with their daily care can opt for an assisted living facility. These facilities provide a safe environment for adults to live as independently as possible. While most people would prefer to grow old in their own place, that is not always possible because of safety concerns. People who live in assisted living facilities often need a little help with medications, hygiene, dressing, cooking, and taking care of their bills. They still maintain the dignity of having their own things and the rights to make decisions for themselves. Currently, each state has its own legal definition of assisted living and prescribes the regulations for them. Assisted living facilities are not completely under the auspices of federal standards and regulations. While there are some laws at the federal level that affect the communities where assisted living facilities are located, the state still has the main control over them. There are different terms used for the same entity, such as personal care homes or residential care facilities. However, the majority of states call them assisted living. Not all of these facilities care exclusively for seniors. Some of the population may be those with physical or mental challenges. Those who are interested in assisted living should check with the rules and regulations in their particular state. Most states require that a resident is at least 18 or older in order to live in an assisted living facility. It does not matter if the person comes from home, a rehabilitation service, hospital, or a nursing home. Everyone goes through the same admission process per the state. The level of care needed is usually the main criteria for eligibility. Assisted living residents require some assistance with their daily routine. 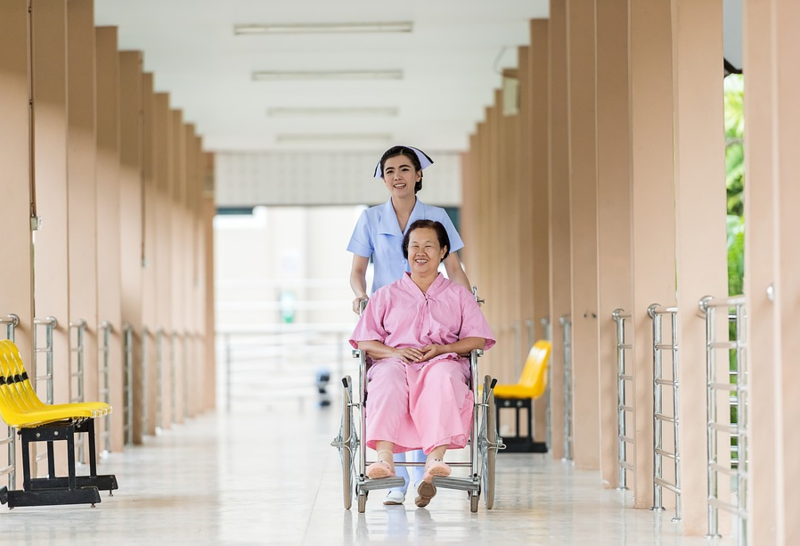 While a nurse is usually available to help with medications and emergencies, these facilities do not provide total nursing care. In these cases, a skilled nursing facility would be more appropriate for the applicant. Since each state governs their own assisted living plans, there may be exceptions. It also depends on whether an applicant is on Medicare or certain types of Medicaid. Each facility has to provide the right level of care to meet the applicant’s need, so choosing a facility is a crucial process. Applicants must have the ability to afford it and to be accepted when an opening is available. The admission process should be started as soon as possible, for the sake of the applicant’s health and well-being. I'm looking for assisted living near me. What are the timeframes to expect? There are no concrete timetables for transitioning into an assisted living facility near you. It all depends on the state regulations and which facility is chosen. Some facilities may have a lot of room and can get the moving process done quickly. There may be other facilities that have limited living spaces. There may be a long waiting list and the wait could last months or even years. When researching for the best facilities, applicants should remember that just because a place is bigger and more expensive does not mean it is a perfect choice. Asking about a move-in timeline is a good question for potential assisted living considerations. Making a decision to move from home into an assisted living facility is not an easy one. Many people fear that it will be like a nursing home. Actually, quality facilities can offer residents as much freedom as they need. There are a lot of places that have separate cottages. Residents can have facility staff come in to help them when they need it. They also have the peace of mind in knowing that there is usually a nurse on staff who can help with medications and other medical needs. Living in an assistant living facility can often feel like residents have their own apartments. People rarely have roommates and they can set up housekeeping as they wish. For those who are not able to cook anymore, these facilities provide healthy meals three times a day that can be delivered to residents’ doors or in a common dining area. One of the main complaints of many seniors who live by themselves is loneliness. Their grown children and grandchildren try to visit as often as they can—but they have busy lives of their own. Loneliness can trigger depression, anxiety, and other health problems. In an assistant living facility, residents always have the staff and each other. People can have company but still maintain solitude when they need it. Another companion of loneliness is boredom. People of any age can get bored and start to lose interest in life. There are a lot of fun activities available every day in an assistant living facility. There is usually a trained activity director who will plan exciting events and special shopping trips. Residents will also make friends with many interesting neighbors. All of these things are optional and are never mandatory. Aging in an assistant living facility will vary according to state regulations and the facility. As residents get older, they may worry that they will have to move again. Most facilities also have skilled nursing services teamed with them. 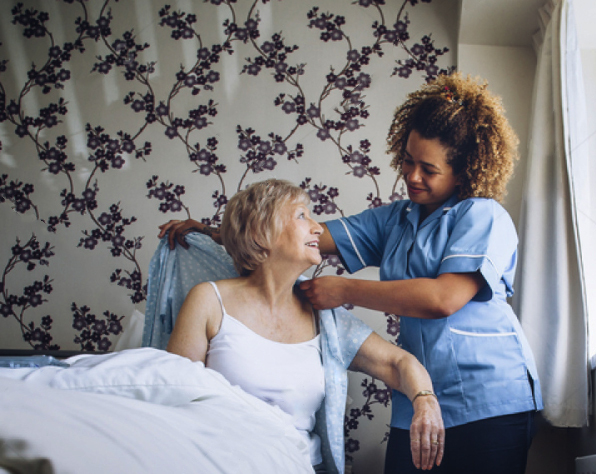 When residents’ level of care changes to where they need nursing services around the clock, they can easily be transitioned into skilled nursing. In some places, the nursing staff will care for the residents in their apartment or cottage until they require hospice services. Other places may have a separate nursing facility in the community. Whichever option is available, residents can be assured that they will get the assistance, respect, and dignity they deserve.